The ST-65 is our replacement and much improved from our famous ST-50. 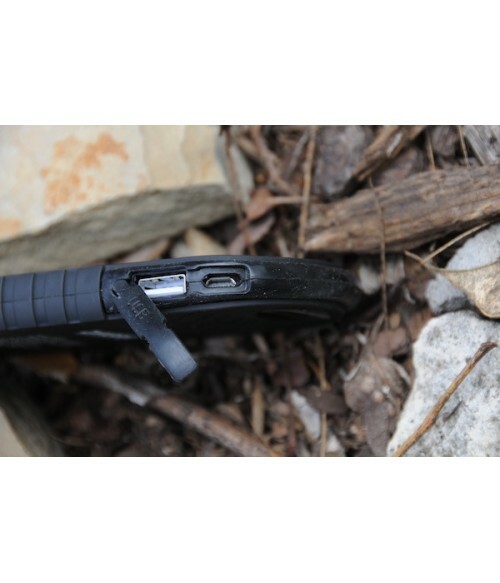 This is now rugged, water resistant and with a carabiner that allows you to take it anywhere but not on the dash.. WAY too hot especially here in Texas!! 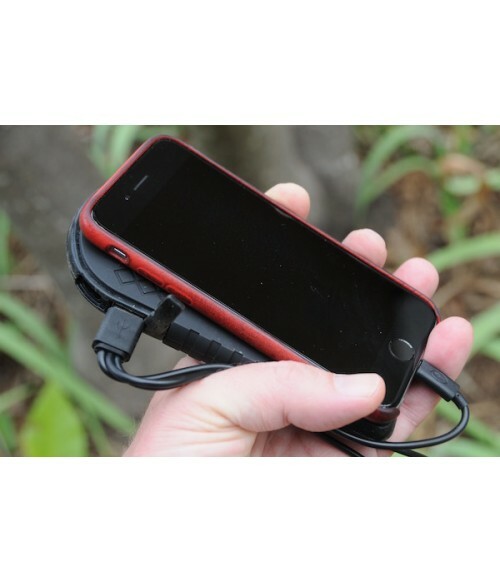 The perfect companion for camping, sporting events, travel etc. Never have to worry about finding that wall plug. We added a bigger battery and yes it will charge an iPad. 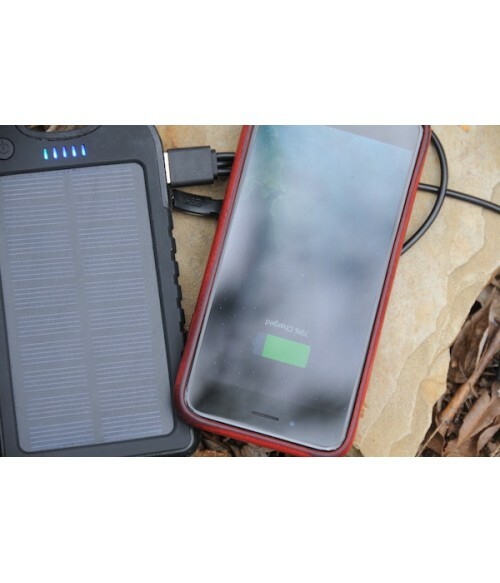 The Solar Trekker 65, or ST-65 is a versatile solar charging platform that will charge any USB capable device. It charges Iphones, iPads, Androids, smartphones, GPS units, Flashlights, DJ Equipment, Arduino microcontrollers, Raspberry pi computers, anything USB compatible! 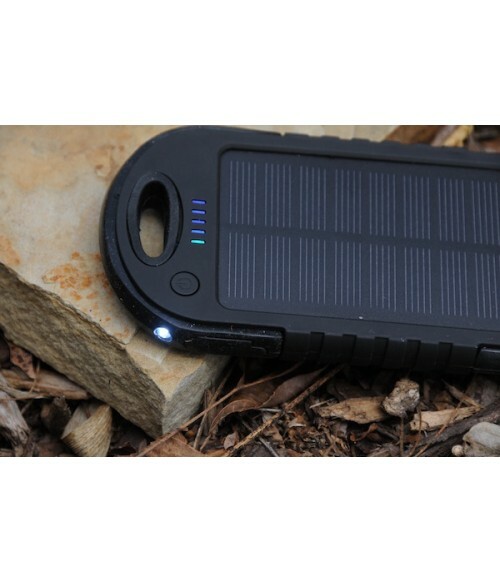 It's out portable solar USB charger battery pack. The ST-65 features a 6500 Mah lithium ion battery, which will charge most phones two to three times. It will Charge an iPad once or more, and it will run your raspberry pi for 6 or more hours. It takes about an hour to charge your iPhone or Android smart phone. The ST-65 has display LED's that tell you the remaining battery life, and a solar charging indicator. Two USB outputs charge twice as many gadgets. The solar panel is really for emergencies when you are stuck somewhere. 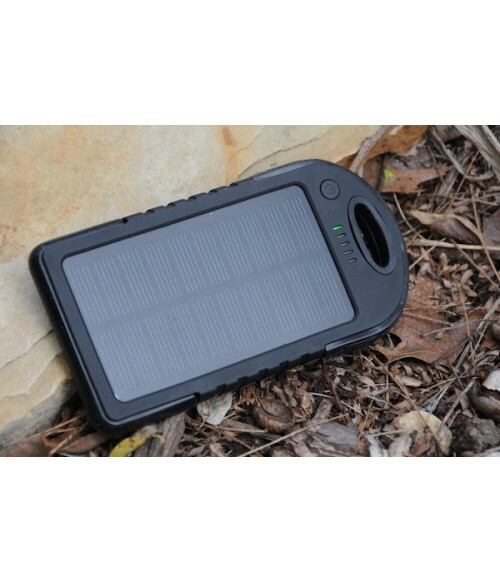 Its a slow trickle charge in the direct sunlight and it does take a long time. Best to combine it with an ST-110 or ST-220 for a quick charge. The internal battery is best charged from the wall.